The scope of this project includes the major renovations and replacements to the Motor Control Center at the Vehicle Assembly Building, along with a building addition to the Electrical Room. Replacement of 3,000 SF of the existing roof. This building is designed to assemble large space vehicles. Phased removal of existing chillers (peak load of 6,000 tons), selected chilled and condenser water piping, primary and secondary pumps, controls and all related accessories and supports. Demolition of existing PLC based controllers, sensors, end devices and associated wiring, pneumatic tubing and conduit. Installation of a Programmable Logic Control based controller. 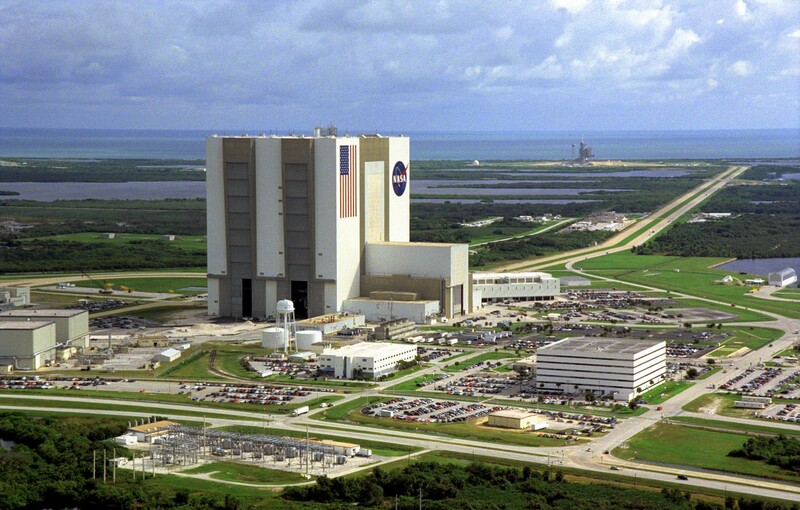 The electrical work includes the replacement of the existing 5kV switchgear with new arc-flash resistant equipment and electrical work associated with the replacement of the existing chillers and pumps serving the chilled water distribution system for the Kennedy Space Center LC-39 area. The replacement of an existing substation with arc-flash resistant equipment, condenser water pumps, air compressors.